Are you having a hard time finding the best choice between GoDaddy vs Network Solutions? 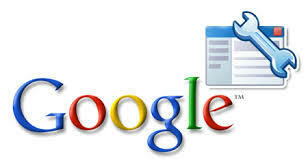 One can easily find many web hosting service providers out in the market. However, not all of them are really good and not every one of them is going to fit your requirement. However, GoDaddy and Network Solutions are two web hosting services that offer most common and most widely used plans to the users all around the world. But, when the main problem is to pick the best one among them, things get really hard. There are a lot of users asking questions related to GoDaddy vs Network Solutions like which one is the best among them. Instead of providing you a direct answer, we are going to explain to you which of them is better and which suits your needs. We are not saying that the other one is bad, but helping you pick the best for you. So, let us now compare various aspects of both the services and find out which one is better. First, we are going to talk about Network Solutions which offer you 3 hosting plans to choose from. Those three plans are Essential, Professional and Premium Hosting. One needs to pay $2.99/month for Essential Hosting, $3.99/month for Professional and $4.99/month for Premium Hosting Service. 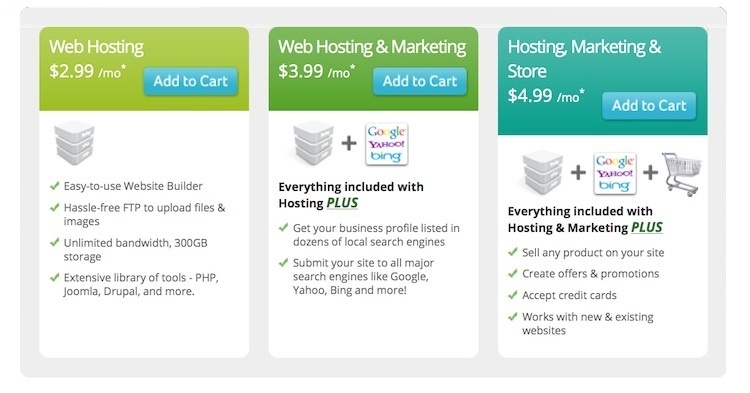 On the other hand, GoDaddy also offers 3 web hosting plans which are Economy, Deluxe, and Ultimate. You need to pay $6.49, $7.99 and $9.99 per month for respective plans. But the best part is that you get money back guarantee period from both the service providers of 30 days. In addition to that, the users can make all the payments via PayPal or credit card. Although there are other services offering similar services at cheaper rates as well. There is not much difference in the features offered by GoDaddy and Network Solutions. Users get scripting languages that include Python, PHP, Ruby etc., unlimited bandwidth. However, they still differ in the amount of storage space that you get, email address and FTP accounts. Also, Network Solutions offers you Hosting control panel and with GoDaddy, you will get the most widely used and popular cPanel. A website builder, message boards, file manager, open source library etc. 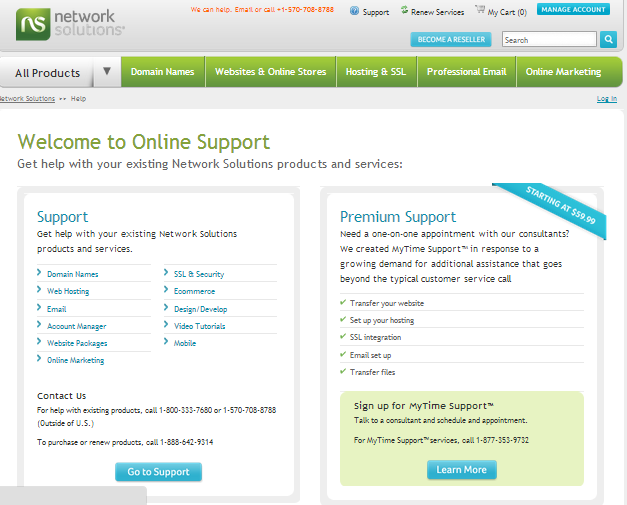 are some other additional features that you get with GoDaddy and Network Solutions services. The Network Solution’s data center is a top class facility with amazing architecture. Also, the company guarantees their customers zero downtime. While on the other hand side, GoDaddy possesses more than 9 data centers across the US, Asia-Pacific, and Europe region. All these data centers are monitored 24 x 7 and have UPS backup system. 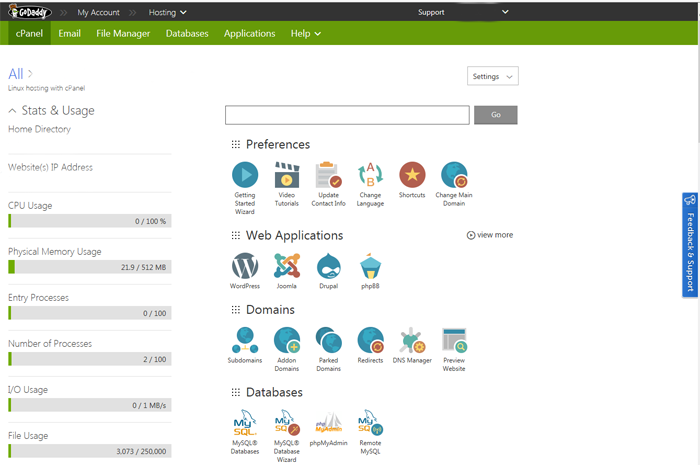 So, all in all, you will hardly get down time from any of these web hosting service providers. In addition to that, you can always call the technical support if you are facing any kind of issue. Last but not the least comes the Technical Support. Tech Support is very important for customer satisfaction. Both GoDaddy and Network Solutions offer their customers offer support via emails and phones, but GoDaddy offers you the help 24/7 while Network Solutions lack this feature. However, none of the offers live chat option which could have made things a lot easier for non-native people. However, on comparing their customer care service with some advanced web hosting service providers, it is just average. In the end, we would like to say that, both the services are average when compared to other web hosting services available in the market which are cheaper, contain more features and provide better performance as well. Still, if you compare GoDaddy vs Network Solutions, we would advise you to go with Network Solutions just because their plans are cheaper. Performance wise and feature wise both the services are almost similar. Technical support is not top class in both the service providers so it would be better to choose a cheaper service if you are a newbie. In case you require premium features for your site, you can go with GoDaddy or any other web hosting service provider like BlueHost, Hostgator etc. If you need a better comparsion of GoDaddy vs Network Solutions with visual demonstration, check out the video below.